Free exercise and nutritional programs will be added periodically to prevent the dreaded monotony of said activities. Training and informational videos will be uploaded periodically as well to allow the frequent visitor the opportunity to master their goals; whether they be just getting healthier, losing weight, or getting on stage for a bodybuilding show. Drwilley.com will have the information to succeed. The ultimate key to success is to get on one of Dr. Willey’s Programs, whichever program happens to suit your needs and watch the results come in. For the more serious person needing to obtain their health goals, lose weight, or get the ultimate physique, visit the store for Dr. Willey’s books, training videos, fat calipers, and personalized consults. Details can be found at each subject page or feel free to email Dr. Willey directly at doc@drwilley.com. Dr. Warren Willey is the Medical Director of a medical weight loss center and primary care office in southeast Idaho. He uses a unique approach to patient care by offering preventative medical intervention by helping people to obtain optimal health and fitness through elite nutritional programs, diet strategies, and exercise programs. He is a Board Certified Osteopathic Physician and did his postgraduate training at The Mayo Clinic. He is a founding diplomat of the American Board of Holistic medicine and a diplomat with The America Board of Family Medicine, The America Board Urgent Care Medicine and The American Board of Bariatric Medicine. Dr. Willey is highly sought after, dynamic speaker and does healthy living and weight loss presentations around the country. J ennifer Ozick has been involved in the fitness and nutrition industry for over 20 years. 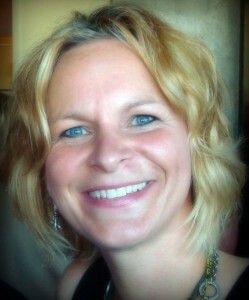 She received her Bachelors degree in dietetics and became a registered dietitian in 2002. Upon receiving her degree in dietetics, she has done research for the Missouri Department of Health, has taught cooking classes and weight management programs in Kansas City area hospitals, and has been involved in preventative screenings in the Midwest region. She is very excited to help you make fitness and nutrition a lifestyle.